Making money from news is a funny thing. There is an inherent tension between publishers’ perceived mission in a democracy to disseminate balanced and coherent insight, and the need to be commercially successful. Journalists and newsrooms do worry about telling good stories. They worry about their publishers’ priorities. Worry about audience preferences, and advertising pressures, whilst also keeping one eye on shareholder and stock market expectations. News publishers, ultimately, are institutions with two faces – serving both their readers, and advertisers. A hybrid entity simultaneously trying to support civic responsibilities, entertainment, and commerce. The demise of big publishing has been predicted and rationalised. We needn’t recover that well-worn ground here, but it is true that the industry has been struggling to regain lost advertising and circulation revenues for a long time. As a result, user experience has taken a backseat to monetisation. Ads are thrown in users’ faces, auto-played with obnoxious sound, and slowed down by 3rd party tracking ad infinitum. Users have flocked to using ad-blockers in response. It’s estimated that only 9% of digital ads are viewed for more than a second, and around 15% of all news site users have an ad-blocker installed. In the quest for financial independence, true success has been gained through the willingness to experiment with new paid products, and business models, and finally cut the puppet strings from advertisers, a luxury that eSuite, the world’s smartest subscription and billing platform affords. Back in 2011 when The Times launched the UK’s first metered paywall, telling users to pay for content or else you can’t read our stuff was deemed a tough sell. Quite understandably, many resisted. Yet in November 2017, they reported having 500,000 paying subscribers. At the time, the notion of paying for digital content when you could easily find it for free seemed rather alien. That coveted 20 – 34 age group have grown up surrounded by The Pirate Bay, and LimeWire, and UseNet, and the idea that anything digital can be found for free if you just search hard enough. The notion persists, somewhat. Feel free to search Twitter for the word ‘paywall’ and be greeted with a real-time litany of objections. Subscribers may have unrestricted access to all content behind the paywall, but determined nonsubscribers can just as easily access news without paying for it, even if it is ‘locked’ away. It’s not difficult to copy and paste some text. That said, the willingness to pay for content grows every year. Reuter’s Digital News Report 2017, for the first time, found that 20 – 34-year olds are now the most likely to pay for digital news compared to other cohorts. If the quality is there, they will come and they will pay. See: Netflix, Spotify. Paywall experiments – even the failed ones – have taught us that people are willing to pay to support good journalism. Look quite simply at The Guardian’s latest efforts. They have long and loudly resisted implementing a paywall, despite having great content, a well-known brand and a loyal audience. In October 2017 Guardian Media Group announced they are making more money from reader revenues over advertising revenues for the first time in company history. Since February 2017, it has grown paying members from 200,000 to 500,000, whilst one-off voluntary contributions (the Wikipedia model) have tripled to 300,000. All without locking away their content. Their approach has been to build willing supporters, rather than begrudging subscribers. This approach, however, depends on your reputation as a premium publisher. Your users will not give you money for nothing; there still needs to be a value exchange taking place. If the publishers’ part of this deal is not offering to unlock content in exchange for money, then something else needs to be given. Der Standard, in Austria, are trying their own spin at this. The idea is to provide unfettered journalism with an ad-free experience. Aside from the editorial content on offer, there is a clear value exchange here by offering insightful, objective journalism that is unlimited by advertising obligations. Other publishers like The Washington Post, The New York Times and The Telegraph are emphasising their value in our frenetic political climate. Where representatives fail, journalism and the media should be there as the voice of the people, speaking truth to power – by contributing financially you, the consumer, are securing this balance of power. Thus, the purpose of publishing can be seen as transcending advertising and paywalls. Insightful and important content should not be locked away if it can be avoided. Building this membership model means journalists, backed by a secure revenue stream, can get back to their purpose of providing citizens with the information they need to make the best possible decisions about their lives, their communities, their societies, and their governments. As publishers are looking to financially secure their futures whilst dealing with the reality of the duopolies’ dominance, the ability to experiment with new business models and premium products is key. 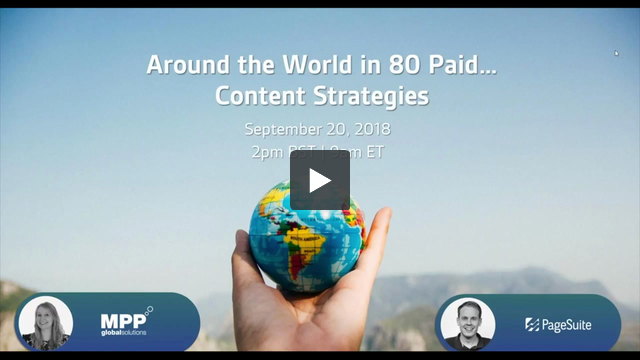 If you’re looking for some practical ideas here, our webinar below on paid content strategies across the world may be useful. Google and Facebook Put Ad Revenue on Life Support – GDPR May Kill It Off.